Australia came for fifth ODI after a strong performance in the last game. Especially after winning the record chase at Mohali, they clearly looked the strong side in the decider. The Australia captain Aaron Finch won the toss and elected to bat first. Usman Khawaja continued his brilliance with the bat and scored his second century in three ODIs. Peter Handscomb was the only other notable performer for Australia as he scored another half-century in this series. Apart from these two, there were not many notable performances from the visiting side. Indian bowlers exceeding well to restrict Australia for 9/272 in 50 overs. As it was a tricky chase, India needed a decent start. India lost both Shikhar Dhawan and Virat Kohli early in the innings. Rohit Sharma showed some resilience with the bat and scored a half-century. However, the other middle order players failed to capitalize on the opportunity. Bhuvneshwar Kumar and Kedar Jadhav promising innings but it was not enough as India lost the decider by 35 runs and lost their first ODI series since 2015 at home. 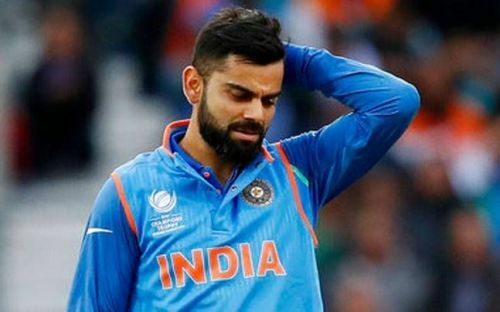 This was also Kohli's first ODI series loss at home as a captain. India made some tactical errors which cost them this series. This is India's last series before the World Cup. So one can expect a lot of experiments from India and it was seen in the last few matches. In the process of finding the right balance, India went on to make quite a lot of changes. They tried KL Rahul in the fourth ODI at number three which did not go well. Ravindra Jadeja was dropped in the fourth ODI and was brought back in the fifth ODI which clearly showed that India missed the genuine all-rounder like Hardik Pandya. India's front line spinner Yuzvendra Chahal managed to play only one game. So, India seems all over the place when it comes to team selection.